Let's hope red looks good on you. 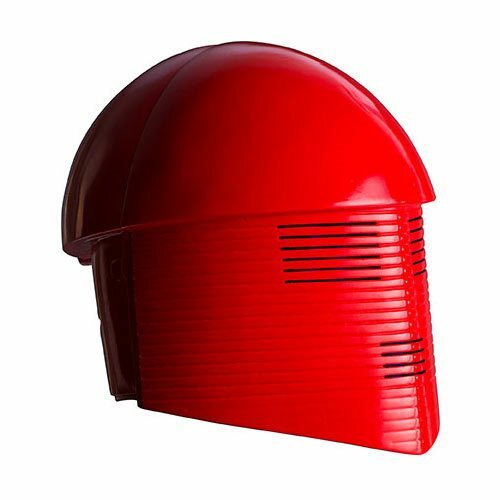 This Star Wars: The Last Jedi Praetorian Guard 2-Piece Mask lets you impersonate one of Supreme Leader Snoke's guards from The Last Jedi. Perhaps, you can do a better job of warding off Rey and Kylo Ren this time. Measures about 9-inches long x 7 1/2-inches tall.